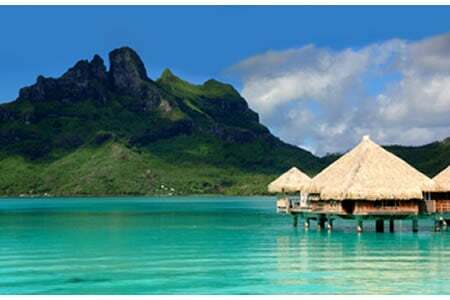 Speculations about their honeymoon destination are finally over….Newlyweds Nicole Kidman and Keith Urban are honeymooning in Tahiti, not in Fiji. The couple’s private Gulfstream jet touched down in French Polynesia and they were quickly whisked off in a chartered plane for a 45-minute journey to nearby Bora Bora. According to Sydney’s Daily Telegraph, the newlyweds are staying in the luxury $15,000-a-night Royal Estate at the new St. Regis resort. Kidman and Urban are among the first guests of the Royal Estate over-water bungalow in the resort, which just opened a few weeks ago. 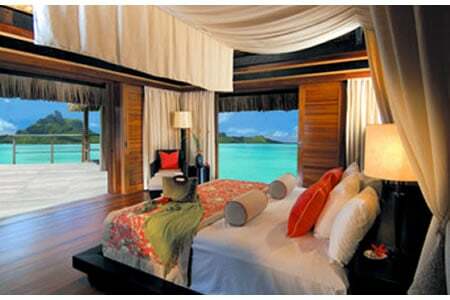 The massive over-water villa boasts a 24-hour butler service, an in-room Jacuzzi and a room with a private swimming pool. The resort offers a private beach overlooking a stunning Bora Bora lagoon and round-the-clock security to keep away the prying lenses of the paparazzi. Staff are said to be regularly patrolling the perimeter of the resort on jet skis to discourage paparazzi. Edged by powdery sands and a tranquil lagoon, the resort represents the epitome of carefree elegance. We wonder why this tall, striking, red-haired Australian actress has brought along her personal security guard, Sonja Zollman. Kidman and Urban have been spending much of their time tucked away in their bungalow and are expected to stay in Bora Bora until the weekend, before returning to their home to Nashville, Tennessee. 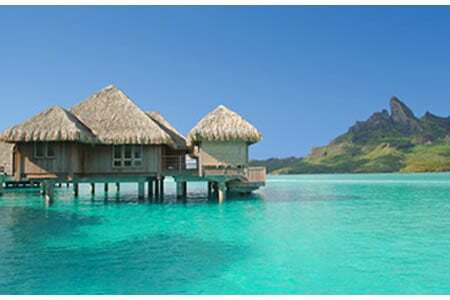 With the debut of St. Regis Resort, Bora Bora in June 2006, this fabled archipelago in the South Pacific assumes a new magical luster, as blissful paradise and world-acclaimed luxury come together.